Probably all the babies have their own teddy bears. And not only babies. I was collecting teddy bears myself a couple of years ago. My Little Man has his own teddy too. Actually this is the first toy he had, as it was given to me by my sister when she came to our wedding and brought that teddy all the way down from Denmark. Little Man was still inside me and had just passed his 20 week scan. 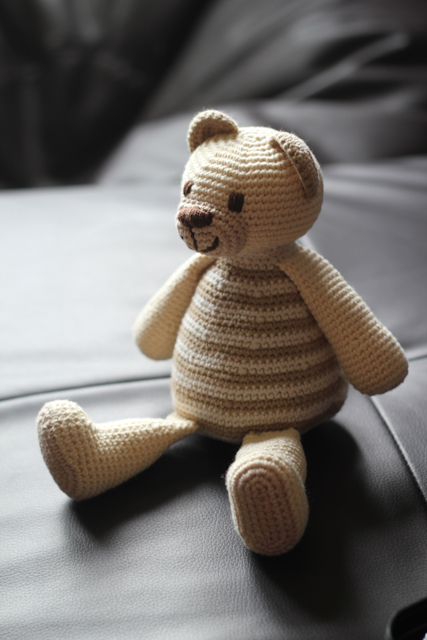 after his birth my sister came to see him and started playing with him showing him the teddy bear and after she left I continued to do that - showing him the teddy and telling stories about his. So soom Little Man understood that teddy is his friend and he bacame a favourite toy. That is why I decided that my little nephew needs to have his own teddy too. 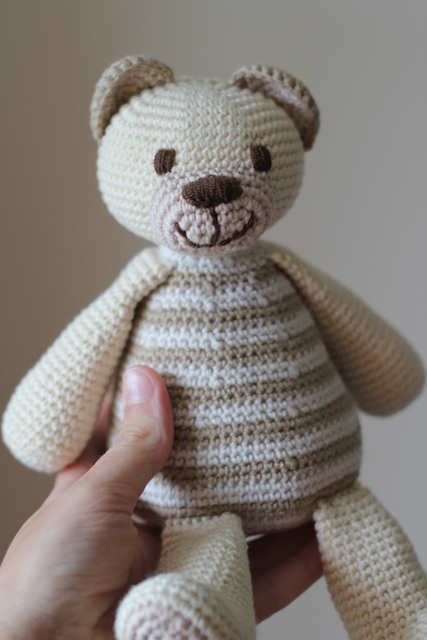 Little Man's teddy bear was my inspiration, but the teddy I made was crocheted from lovely soft cotton. This is another June project. Took me three days to make and a month to post about it. 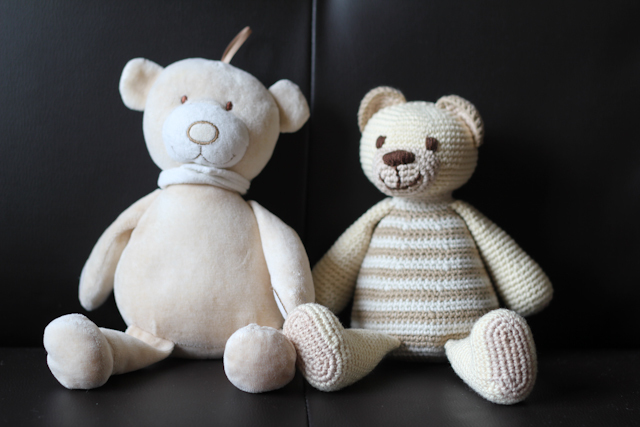 And here is the teddy and his prototype - our beloved Danish teddy bear.